A selection of Genuine HAAS Grooming Brushes, quality brushes made from horse and synthetic fibres. This pack comes with 7 brushes so that you can cater for all coat types and skin sensitivity. 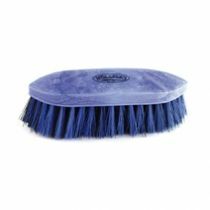 Used in the correct order the natural horse hair of each brush will remove dirt and stains, lift excess oil and promote a natural shine with the polishing brushes.